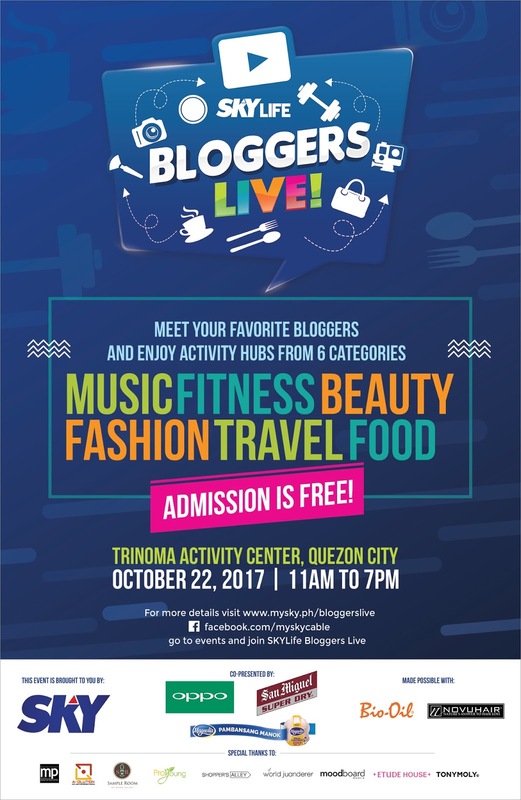 Bloggers go from online to on-ground as SKY Life, SKY’s lifestyle rewards program for loyal subscribers, brings together the most-followed lifestyle bloggers and their followers in an interactive meet and greet event, “SKY Bloggers Live!” on October 22 from 11 AM to 7 PM at the Trinoma Activity Center. 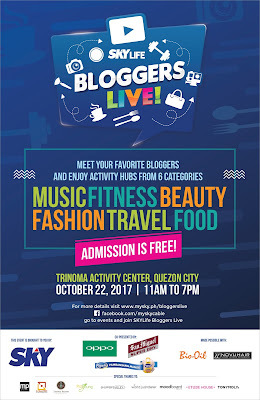 The event will bring leading beauty, fashion, travel, fitness, food, and entertainment bloggers Say Tioco, Camille Co, Pinoy Fitness, Eatsplorations, and Kyle Echarri together, to give their followers a chance to interact with them not just online, but in person. The event will also give participants a chance to produce their own fun content. Attendees are in for interactive activities, talks, games, performances, and activity hubs that cover topics the bloggers advocate. At each hub, they’ll get to meet and mingle with the bloggers of each category while vying to win various prizes. At the Trip Book hub, fashion and travel Blogger Camille Co will talk fashion and travel, while helping participants learn to achieve the perfect travel photos. At the Beauty Snap hub, beauty vlogger Say Tioco will share her beauty and skin care tips live to her audience. At Fit to Tweet, participants can join fitness website founders of Pinoy Fitness in physical challenges that entail capturing exercises creatively on Boomerang. Meanwhile, U-Tune puts the spotlight on participants while they sing a virtual duet with their favorite Youtuber, while Insta-Yum helps aspiring food bloggers improve their flatlay game. 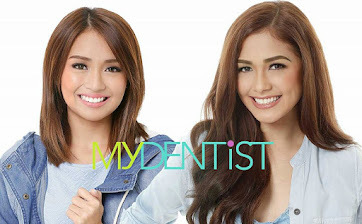 As participants join the games, they must share their posts with the hashtag #SKYBloggersLive for a chance to be chosen as a challenge winner. Aside from the fun activities, hosts Janeena Chan and Kyle Ortega will be there to make the event even more fun and interactive. Participants can also look forward to raffle prizes and fun, on-stage games. The event is open to the public, but subscribers can pre-register for VIP access. 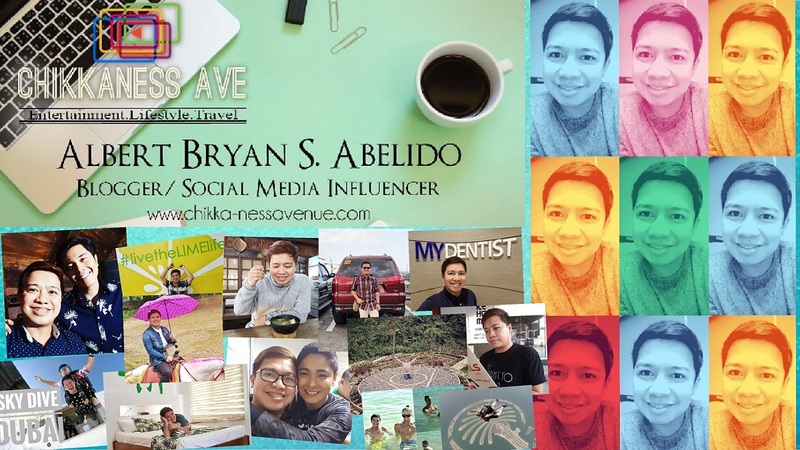 To know more, go towww.mysky.ph/bloggerslive or the event page here. 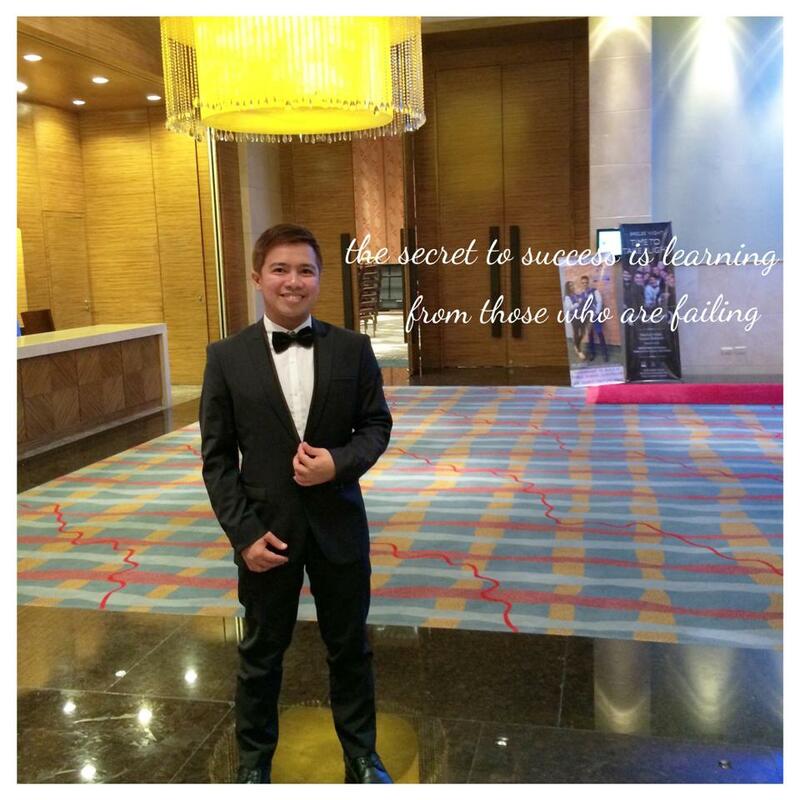 SKY Life regularly treats loyal subscribers with experiential lifestyle rewards. In 2016 it held a series of activities for families including, “SKYLife Adventure Down Under” which flew subscribers to Australia, “SKYLife DIY City,” which brought families together and gave kids a chance to create their own stories and make believe cities, and “SKYLife Adventure Rush Dude’s Day Out,” the first ever men’s adventure and lifestyle fair in the metro, which included everything from cars and collections to grooming and sports, engaging men of all ages. The most recent event was “SKYLife Project Best You” in August, where families were treated to a weekend of bonding, fun, and values-filled activities.